Flying from Heathrow Airport LHR to Pakistan? Mushtaq Travel offers customers more choice than any other travel agent or competitor if you’re looking to compare ticket prices from London Heathrow to Pakistan. Etihad Airways via Abu Dhabi to all Pakistan. 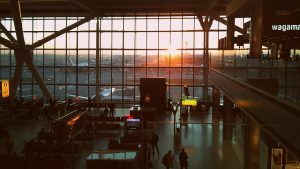 The choice of flights from London’s busiest airport is greater than any other throughout the UK and europe with multiple connections for Pakistan most airlines offer connections to all of Pakistan’s international airports and beyond through their international hubs. Emirates, Etihad and Qatar airways offer more than 1 connection to Islamabad, Lahore and Karachi on a nearly daily basis with flights departing in the morning, evening and afternoons. Mushtaq Travel provides the cheapest flights to Pakistan from heathrow and many other destinations within Pakistan and you may find even greater savings if you combine your travel itinerary with a stopover or a connecting flight with Emirates, Qatar, Saudi, Etihad, Turkish, Kuwait, Gulf or Oman Air. We work effortlessly to ensure we provide a free no obligation service at all times including our expert advice over the phone. Find the lowest flight prices from LHR by booking directly with Mushtaq Travel. Search and compare hundreds of cheap flight offers to find the one that suits your budget by simply inputting your travel dates, try our new multi airline search tool for an even greater choice of flights dont forget to use flexible date option for an even greater chance of finding the cheapest flights from LHR for your selected travel dates. If you need expert assistance call our travel consultants / representatives today. Our highly knowledgeable staff will be able to help you with any questions regarding your Sialkot flight, or for any special requests or requirements be sure to ask. By booking your flight with Mushtaq Travel you can rest assured that you have booked the best flight at the lowest price from London Heathrow Airport. With expert advice and tailor made solutions available on all types of fares and journeys from Heathrow London UK to all over Pakistan why not speak with our friendly and informative staff with a combined experience of over 50 years in arranging and organizing airfares and ground transportation for personal, business or leisure travelers. When looking for LHR Heathrow airport to Pakistan Flights always search using flexible dates either side of your intended travel dates, try a wider search parameter by searching from different airports i.e if your wanting to fly from London to Islamabad but can travel to other airports within Pakistan such as Lahore, Sialkot, Multan or Karachi adjust your search to compare those airports including your departure airport some airlines don’t fly out of London Gatwick and searching from Heathrow or Birmingham could save you a significant amount of money. You can even narrow your search to ensure availability is completely up to date by selecting a specific airline, this way you can rest assured you are getting the best value for your trip.